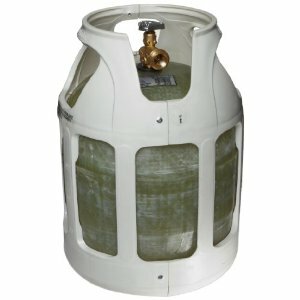 The US Department of Transportation has issued an “Emergency Recall Order” for all LPG composite cylinders manufactured by The Lite Cylinder Company as per the following Emergency Order No. 2013-002. The recall notice specifically identifies those cylinders manufactured under DOT-SP 14562 (and DOT-SP 13957 as authorized therein), DOT-SP 13105, any cylinder re-qualified under H706, and any cylinders manufactured under M5729. 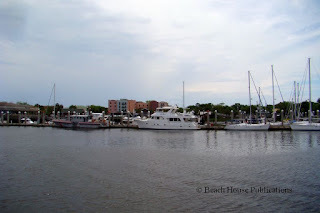 Fernandina Beach, Florida is one of our favorite stops along the ICW. We seldom skip this area and actually spend some time in what we have come to call the St. Mary's triangle. 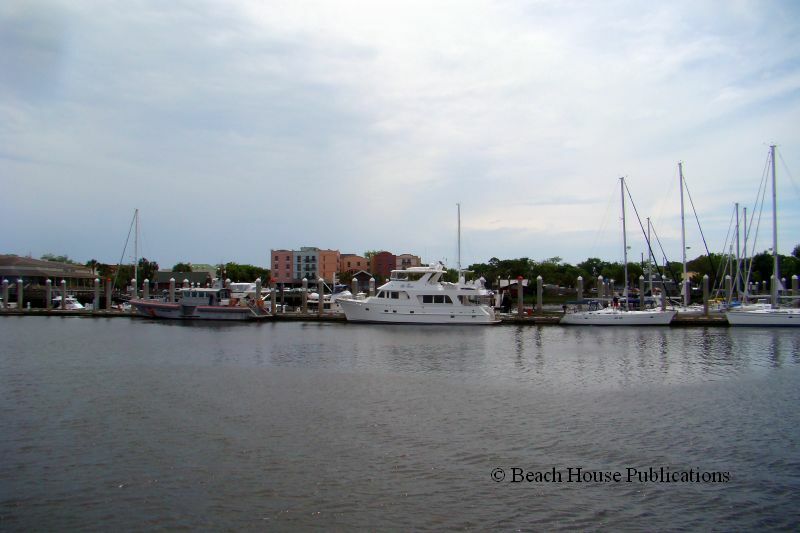 There are many options for anchorages and the Downtown Municipal Marina is a great place to layover and spend some time in the historic district of Fernandina Beach. The area was originally inhabited by Timucuan Indians and around 1562, settled by the French, Spanish and later the British. The historic "Old Town" is a treat and easily accessible from the Municipal Marina, including one of their moorings, or from a nearby anchorage using the marina's dinghy dock, for a charge of course. 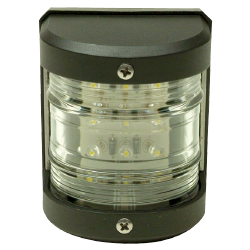 The SEACHOICE Products and other catalogs advertise it as a "LED classic navigation light." Packaged individually, the item looks as shown on the left. The package indicates incorrect usage as a "masthead light." When web-searched the retrieved information presents it as a "masthead" or "navigation" light. Neither of these applications are correct and the fixture should not be used on any vessel in an effort to meet the navigation rules. This document is provided for informational purposes only and does not relieve any domestic or international safety, operational or material requirement. Developed by the Office of Investigations and Casualty Analysis, United States Coast Guard Headquarters, Washington, DC. After our encounter with the thunderstorm, the weather wasn't done with us yet. 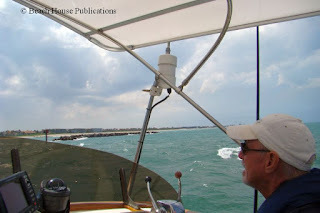 During our last transit of both the west and east coasts of Florida, we had almost daily gale force conditions. We sure hope that won't be the case this time. A rainy end to the day at anchor in the Banana River gave way to a very peaceful night and calm winds in the morning. BUT, the winds were expected to pick up later in the afternoon so we pulled up the anchor and got underway at first light. The trip to Titusville was about 40 miles and we wanted to get in as early as possible before the winds started building to the forecast 20 knots. The transmission had been acting up on us occasionally and was getting progressively worse. 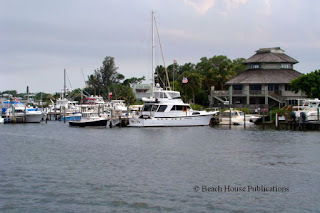 No one wants to try and dock a boat in 20 knots with a bad transmission, and because we were visiting friends in Titusville, we planned to stay at the Municipal Marina. 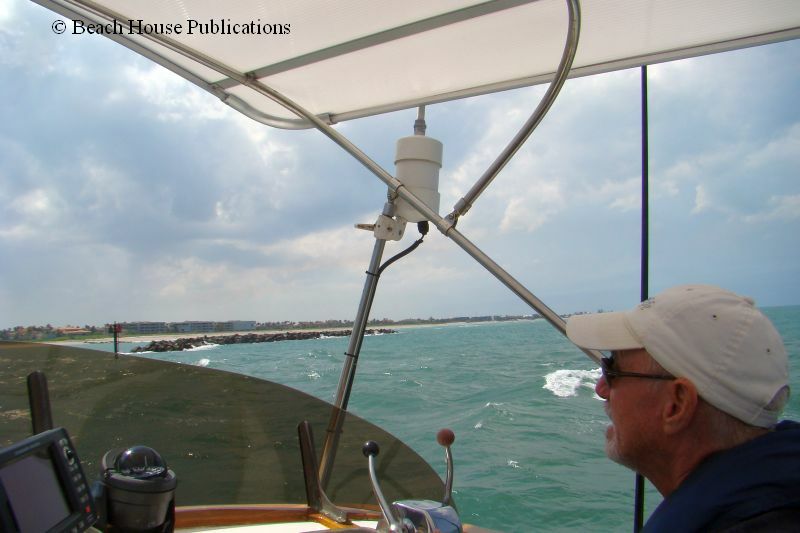 We are often asked how difficult it is to travel long distances on the Intracoastal Waterway in a boat. What size boat is ideal for doing the waterway? What equipment is needed? How long will it take? How many miles can be covered in a day? What will it cost? There really are no easy answers and there are no right or wrong answers. It's almost like asking, "How long is a piece of string?" We have done the Atlantic ICW so many times now that we have lost count. We have also done a couple of transits of the Gulf Coast Intracoastal Waterway and have a few ideas on what it takes and what works for us. Beach House and crew had a great time at Green Turtle Cay, but it was time to move on and we had to do a little business. We headed out of Black Sound and of course it was almost at low tide. But the lowest depth in the channel was 5.9 feet and that was only in one spot. The winds had picked up early and we would be heading into about 10 to 12 knots right on the nose. 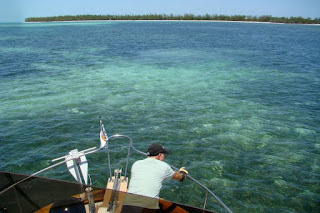 Inside the Sea Of Abaco, the wind waves are small so it was not an uncomfortable ride. It would only be about an hour before we dropped anchor in a small, very shallow bay at the west end of Manjack Cay. The part of the bay we anchored in is not for drafts over 4 feet at low tide. 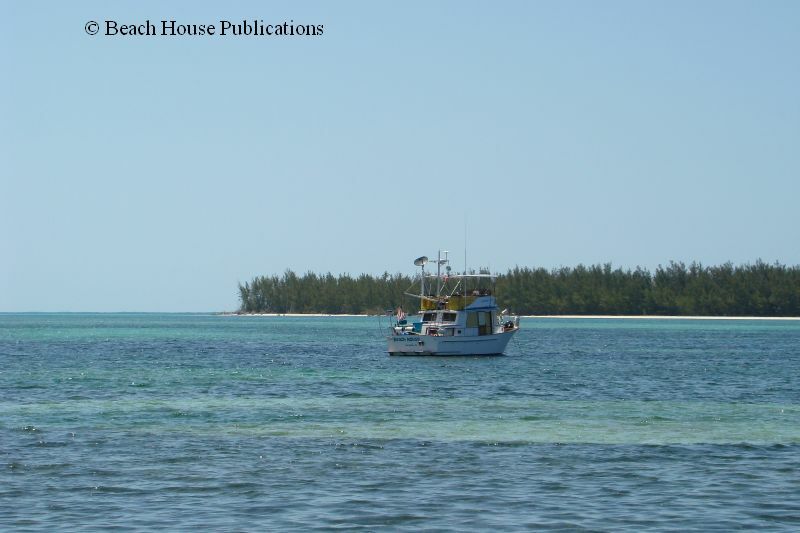 There is a deeper anchorage off a small beach near the western tip that can carry up to 6 feet at low tide. 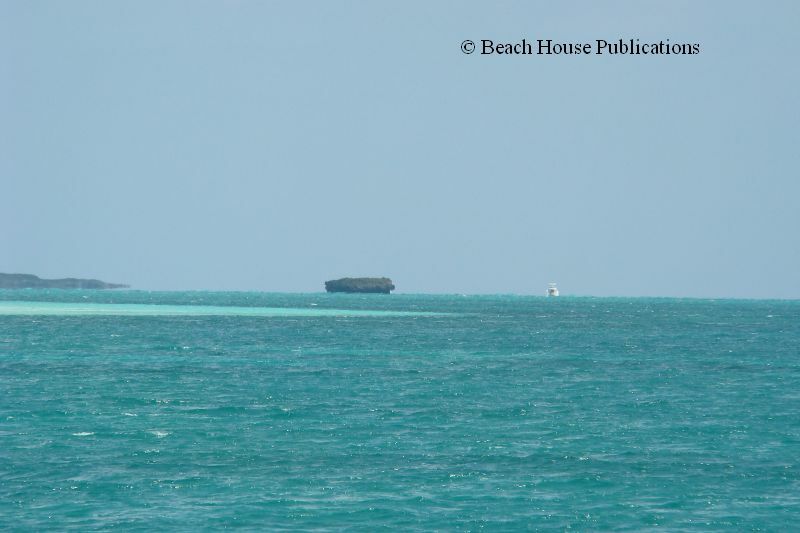 From Treasure Cay, there are two routes to get over to Green Turtle Cay. 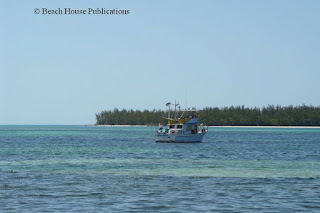 One is a route which takes you out of the Sea of Abaco, around Whale Cay on the outside, and back into the Sea of Abaco. 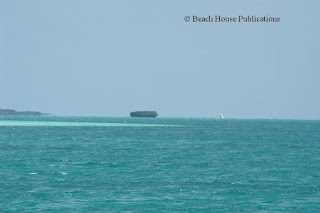 This route is very dependent on the conditions outside Whale Cay since the route is through a reef system and large ocean swells can build as they approach the shallow water, making for some very hazardous seas. During the morning cruisers net on VHF channel 68, the reports for Whale and some of the other cuts are given to boaters planning to make the transit. 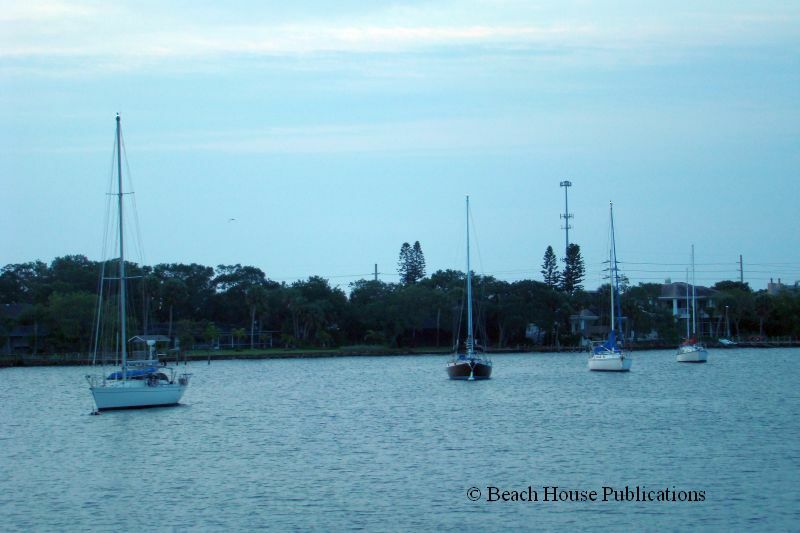 There is another option for shallow-draft boats, but it can only be done safely at high tide. This is known as the Don't Rock Passage, named after the large rock at the entrance to the passage on the east side called appropriately, Don't Rock. We received reports from boaters that were using the Don't Rock Passage for the last few days that the lowest depths at low tide was 5.8 feet over the bar near Don't Rock about an hour before high tide.